IRXON Electronics Co,.Ltd was founded in 2002 to meet the growing needs of mobile phone wireless communication. 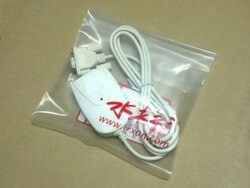 IRXON is now a leading supplier of short range wireless communication products in Chinese market. The products include Infrared adapters, Bluetooth adapters, WLAN-Bluetooth combo adapters, Bluetooth HID keyboard, Bluetooth keyboard touchpad combo and so on. Please browse the website to see how we can help you today! IR220 is a RS232 to RAW IR (IrPHY Only) adapter, it can convert RS232 data to infrared, no need to install driver. 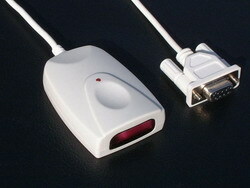 It features a RS232 serial cable replacement on PC or embedded system. 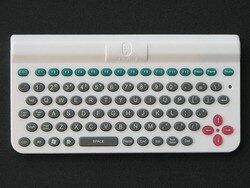 IRXON KB850 is a palm-sized 83 keys wireless keyboard. 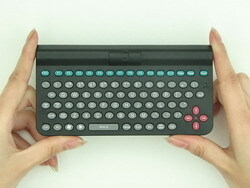 It gives you all the advantages of a full-size keyboard and can connect via Bluetooth to almost any information appliance, including: PC, Tablet PC, Laptops, PS3, iPhone, PDA, Smartphone and Series 60 mobilephone, with the use of an appropriate driver. IRXON has been IrDA Corporate since 2006, IrDA member give us the opportunity to be part of the community which creates and develops fast and reliable communication standards by using Infrared technology. Our IR products is listed as qualified IrDA products in IrDA website. All orders are backed by our 30 day Hassle Free Return Policy, every items carry a 1 Year Warranty from IRXON. We prefer PayPal for all of your eBay purchases and ship quickly using Chinese EMS or Hongkong Post service to worldwide. eBay is the world's largest online community of buyers and sellers! It's your place to buy what you want, sell what you have, and make a few friends while you're at it.